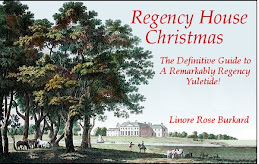 "Regency House Christmas: The Definitive Guide to a Remarkably Regency Yuletide!" is here, with quotes, recipes, games and more, to reveal what Christmas was like during the time of Jane Austen. You may just decide to keep Christmas in a whole new way yourself, remembering the "holy" in holiday, and letting poets and songwriters from the past enliven your experience today. 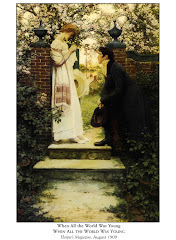 Come along, sample and taste, view the illustrations, smell and feel Regency England at Christmas! materialistic Christmas doesn't satisfy the soul, does it? 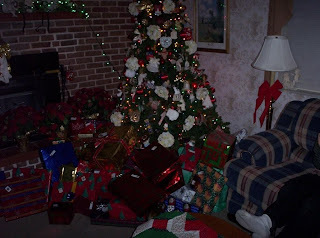 I think all the unwrapped presents actually emphasize the poverty to be found in seeking fulfillment from gifts and "stuff." 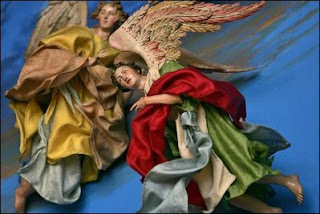 SO obvious--leave Christ out, even when you are not consciously doing so--and the holiday leaves you longing for more. Returning to God's gift of His SON is really what this holiday is all about. time to plan it in this year) I took all my kids with me and went to a local hospital and gave one of my books to the patients on one floor who were going to be there for Christmas (I did this on Christmas Eve day). Nothing can beat the great feeling you get just from GIVING. Do you ever feel like you just can't "afford" Christmas this year? I believe that t what I really can't afford is to forget the real giving. The giving to strangers, to those who can't repay me with thanks or gratitude or gifts. For now on, I want to make it one of our traditions. To visit a hospital or nursing home and give out a number of my latest book, or someone else's book, or just cheer and good will--to those who need a lift, a reminder that God loves them, even if they're in the hospital, and even though they're in there for Christmas. Remarkably Regency Yuletide!) I couldn't help it. The downside of having done this research, however, is that I cringe whenever I see a regency romance set during the holidays on the shelves of a bookstore. Most of them show big Christmas trees on the cover--wrong. Regency homes didn't always have a tree at all and if they did, it was a table-top one, not the big tall type the Victorians popularized. town band, who got remuneration for their efforts.) Christmas was more centered around the church calendar, and decoration was mostly live greenery with berries, including mistletoe. So many differences! Was anything the same? Yes. Joy at the birth of the Saviour. I wish you a Merry Christmas. May it be happy, healthy, warm and wonderful. And for a special treat, enjoy a historical romance! The following post is straight-from-the-blog of fellow author Megan DiMaria. We evidently think alike since I could have written it. Plus, we're both scheduled on the fun Christian Bookworm Reviews "Countdown" appearing on that site next month. Hope you enjoy my borrowed post! Yes, believe it or not, the holidays are coming. Christmas commercials are on TV, and that joyous season is in full swing in just about every retail store around. I love Christmas and all that it means. Our Savior has come! Peace (in hearts) on Earth! Sharing love with those most dear to us! This year I'm thrilled to be able to participate in a countdown to Christmas on the Christian Bookworm Reviews site. Each day a different author will share a special Christmas memory or a Christmas excerpt from their book. If you stop by and leave a comment, you'll be eligible to win free books. Thought I'd link to a sweet-sounding Christmas romance book for those who look for such things to enjoy during this, the "most wonderful time of the year." It's called, A Holiday Prayer and looks like good clean fun with a romance to boot. It's not a historical romance, but hey, I'm not prejudiced (even if this blog is primarily about Christmases 200 years ago). Old English Christmases are uniquely fun and offer great treats in reading of them, but we are living today, and I'm flexible! Let me know if you get this book, how you liked it! Got a book to recommend? Send along your suggestions. 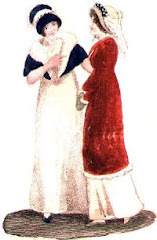 Thanks, and stay tuned for more great recipes and quintessentially English Christmas posts, including many more fashion prints from the Regency. PS: The contest is still going on! Just read a post or two and leave a comment and you're entered to win the entire Regency Christmas Book package! Leave a comment now! Look around and respond to one post--I'll check comments by date, and you'll be entered in the contest. 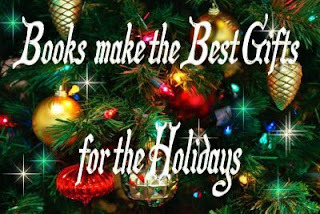 To see the huge Christmas package and all the bonus gifts, stop by the Christmas book page on my website: HERE . Have fun with a dash into the past of the holiday season. PS: SUBSCRIBE TO THIS BLOG AND YOU'LL BE ENTERED TWICE! Got (19th Century) Comfort Food? Here is the recipe for Apple Butter Custard Pie. Enjoy! kinds of fruit pies, such as green-apple, currant, gooseberry and pie-plant, are improved by it. My suggestion is to bake this for 45-55 minutes at about 350F. and then test with a knife. This is how I'll be making it this weekend! I'll let you know how it turns out! As the Season of Christmas gets closer, I'll be sharing more wonderful Regency era 19th century recipes. The season is coming, all right. My local stores are starting to fill up their Christmas aisles. My holiday senses are gearing up and getting ready! But are you feeling excited, like me, or are you dreading how quickly Christmas is approaching? Gone are the days when I would dread the arrival of the holidays, with all its busyness and pressures. I look forward to Christmas all year, now, and you can, too. How? Start by putting YOU in the schedule. When you anticipate relaxing times of soaking up the atmosphere and the spirit of Christmas, the busy hustle-and-bustle aspect fades away. At least long enough so that you can guarantee yourself and your family some real enjoyment. How to do it? There are many ways. First off, however, just take the powerful move of SCHEDULING a "Do Nothing" night. Don't worry, it won't turn out to be a do nothing night, but scheduling it that way will ensure that it can be a "Do what you really want to do night." If you don't schedule it in, chances are something will come along--something you don't REALLY want to do--and fill it up. When all the weekends get filled up, either with "have to do's" or "should do's" (and we all know how easily that can happen), you won't have any time for "WANT to do's." I'll talk lots more about how to enjoy the season, and lots of nineteenth century ideas will come into play. But for now, until next post, schedule a night or two (or three, if you're really brave) for "DO NOTHING" nights in December. They'll end up being the best nights of your holiday celebrations for the year. 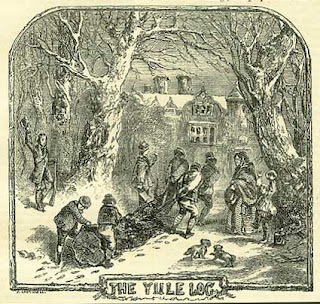 In olde England, a huge part of the excitement of Christmas was bringing in the Yule Log. This was an event which was anticipated by keeping a small figment of last year's Log, safely stowed away where it would be secure, to use when lighting the current year's (new) log. We are not talking about a small log like the ones you see on TV screens on Christmas Eve in the US (which is fine if you don't have a fireplace of your own). But the special Yule Log was HUGE--it went in the main fireplace, usually in the kitchen, or, in a parlour if the fireplace could fit it. Think partial tree trunk, here. The tree or log was carefully picked out ahead of time so that when the time came for it to be brought into the house, (no sooner than Christmas Eve)it would already have been cut and dry enough to light well. This log was traditionally supposed to last not only throughout Christmas Eve, to usher in the holiday, but all through Christmas Day, too. It was used to heat up the festive drinks, such as nog and wassail; and it was used for cooking Christmas dinner. If the log lasted, all was fine and dandy; if not, it was considered bad luck! And a charred piece of it was also to be kept as the fire-starter for the following year's Christmas fire. Know any other facts about the Yule Log? Post a comment! Soon I'll be picking one comment each week and rewarding a free copy of the Christmas book to the commenter! Comments on all posts from October through December count! Almost every day my five year old asks me to show her how long it is until Christmas. I hold up my hands and flash ten fingers, and we count by tens, 'til I reach the approximate number. It looks like forever to her, but we adults know all too well, don't we, that it's just around the corner! I usually start shopping in September, and because of this I never have to make Christmas-Eve runs to the store for last minute items. Christmas Eve is far too important a night to "spend" it--literally--shopping! It's the best atmospheric night of the year for either a quiet Yuletide night before a fire, with family, around the tree, or at a party with a group. However you choose to spend it, you should be enjoying the night. Scroll down this blog to get a simple "Christmas Scent" recipe, set it brewing on the stove or in a crock-pot and take a few minutes, or heck, a few hours, to soak in the ambience of Christmas Eve. I love hearing from readers. Many have said that there is just so much crammed into this book (especially when you include all the bonus ebooks) that they couldn't take it all in at once. It reminded me that I should tell you, if you're a fan of the Regency or Christmas history, (especially an English Christmas), then Regency House Christmas: The Definitive Guide to a Remarkably Regency Yuletide! (which is loaded with facts, stories, pictures, poems and even food-- in the form of authentic recipes) can keep you up to your ears in Regency style all year. follow it up by making yourself a merry libation or a syllabub. Nothing like dessert ("afters") Regency style! (What? Don't have a copy of the ebook, yet? What, I must ask, are you waiting for? All of the bonuses are still included. Get your copy today! at my secure website . Bigger and Better--Coming later this year! The Christmas book is not for sale right now! In the meantime, enjoy this Regency Christmas blog for an instant dose of an old-fashioned season whenever you feel like it! 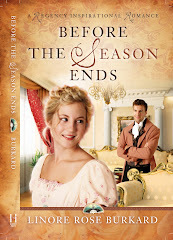 Subscribe via email: Don't Miss a Single Regency Yuletide Post! Available this December in a bookstore near you! "When All The World Was Young"